I spent last week, amongst other things, visiting castles in Wales. My weekend in Scotland a few weeks ago allowed me to visit some very interesting Castles. You can see those here and here. It got me interested once more in medieval history and the fabulous castles that were built at that time. I stayed last week with my friend Poppy and her husband, in Worcestershire. Wales is just a short drive away and the border with England is littered with castles. I had a fantastic week and enjoyed being a tourist, visiting these places, many for the first time. 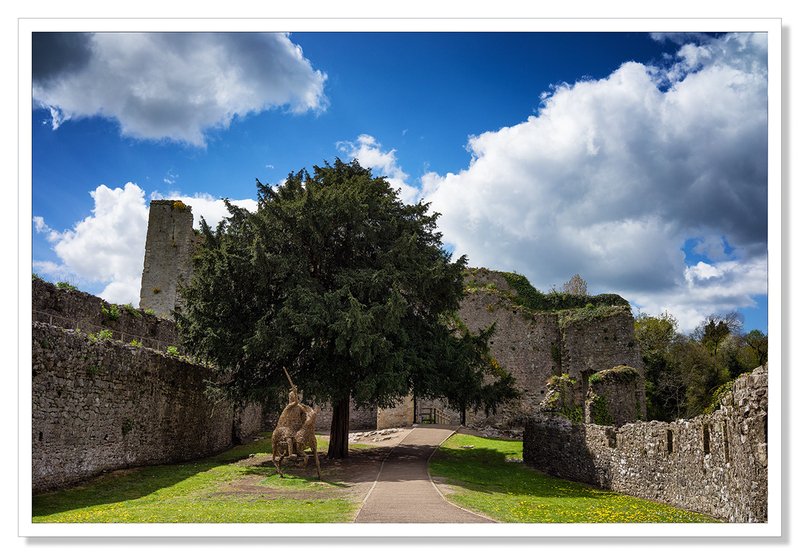 This post is all about Chepstow Castle. Chepstow is a Norman castle perched high above the banks of the river Wye in southeast Wales. 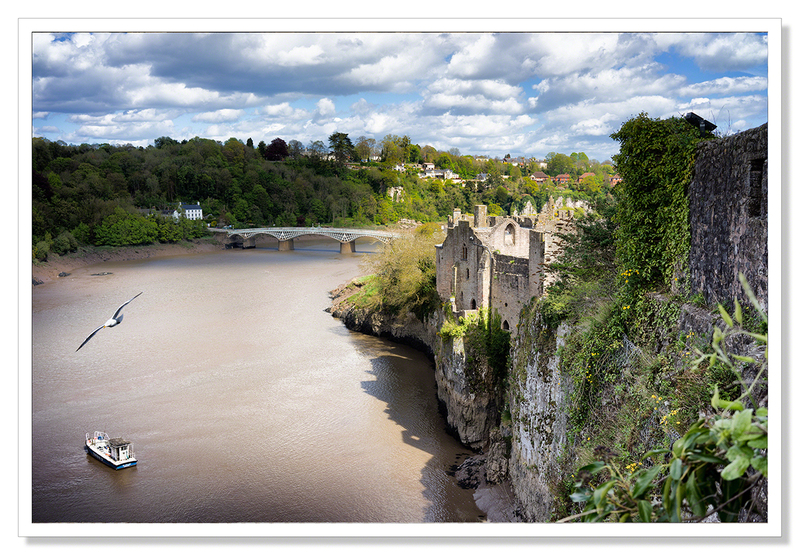 Construction began at Chepstow in 1067, less than a year after William the Conqueror was crowned King of England. William employed his loyal Norman lord William FitzOsbern to build the castle. FitzOsbern’s fortresses were the vehicles from which the new king consolidated control of his newly conquered lands. Chepstow Castle became the key launching point for expeditions into Wales, expeditions that eventually subdued the rebellious population. Chepstow is the oldest surviving post-Roman stone fortification in the UK. 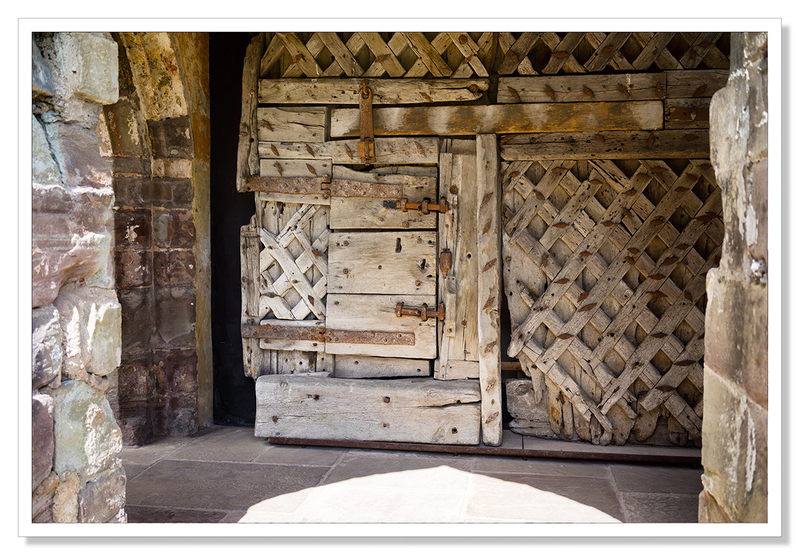 To think the wooden door with its hinges and latches in the picture below is nearly 950 years old. They certainly built things to last in the 11th century! This entry was posted on May 4, 2015 by Chillbrook. It was filed under Photography, Photography and Travel and was tagged with Adrian Theze, Castles, Chepstow, Chepstow Castle, Cornwall Photographic, Landscape Photography, Norman Castle, Photography, River Wye, Sony A7R, Wales, William the Conqueror. Fabulous pictures ALL! But then I like the closer-up, artsy fartsy pics. Well done! P.S. I’m wasn’t sure of any of the details of the sculpture Sylvia so I did some research. The Sculpture was inspired by William Marshal, the “Greatest Knight” who owned and improved Chepstow Castle and who went on to become Regent for the boy King Henry III. 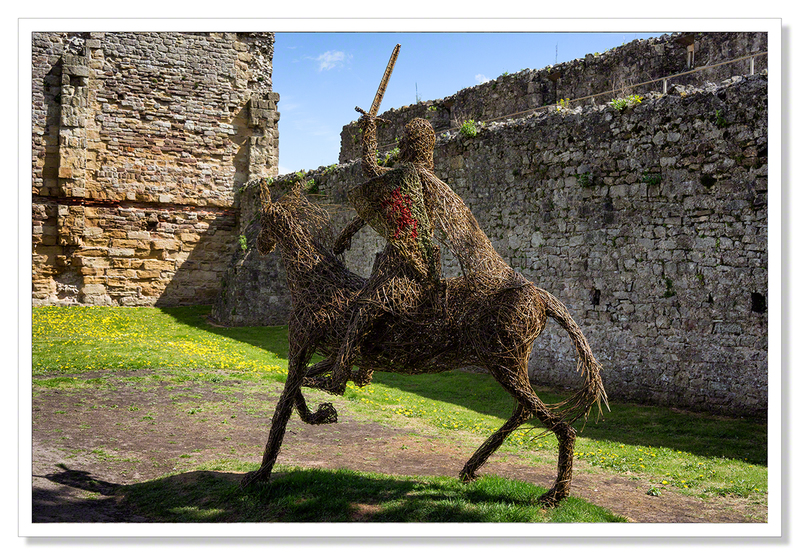 Caroline Gregson created this lifesize willow sculpture of a 13th century knight on horseback. The sculpture will remain in the upper bailey of the castle throughout 2015 as part of the 800 years celebration of The Magna Carta. William was instrumental in the creation of the document in his work for King John. From Castles to Beacons to Thrilling rides @ Alton Towers *eeek it was another fun week all round ! It beats the heck out of photographing my yard and basement . . . Very nice, as usual. Also, it looks like these are more Sony shots, as were the last few posts. It really does a great job . . . then again, I happen to think a good photographer can make anything work. Good job. That’s very kind of you to say Emilio. The Sony is doing a great job! I’ve been really impressed so far. I won’t be giving up on the D800e but for a wander around a castle like this, this sort of camera is just perfect. Gorgeous photos – taking my granddaughters to Wales this summer so must add this to the must see list! Thanks for the great advice on the English heritage membership! Great shots. The Chepstow Castle is fascinating and very interesting. What an amazing place Adrian. Great shots. Such a rich heritage. I hope it will be well preserved. Very good castle-photography, Adrian. I really like the historical topic too. Sony camera? This photo is fantastic. You certainly have a gift. Cheers ! Looks like a fascinating place. 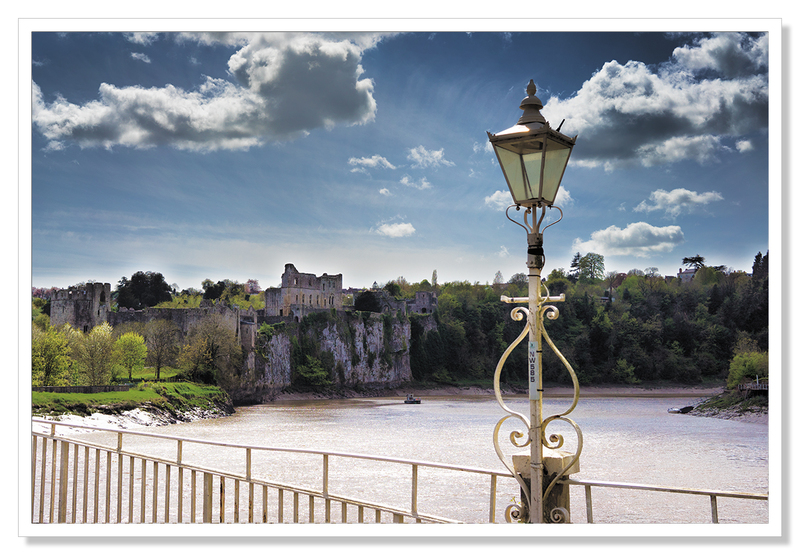 Chepstow Castle is a few minute’s walk from the border with England and is easily reached from both Severn Crossings and the M50 motorway. If you have time,take a trip the beautiful Wye Valley to Tintern Abbey. That sculpture is perfect in the setting and you captured it so well. And the detail you captured in the door is amazing. 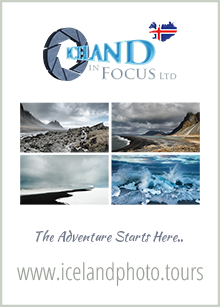 Outstanding images of this amazing place, well done! Thank you very much Phil! Much appreciated! 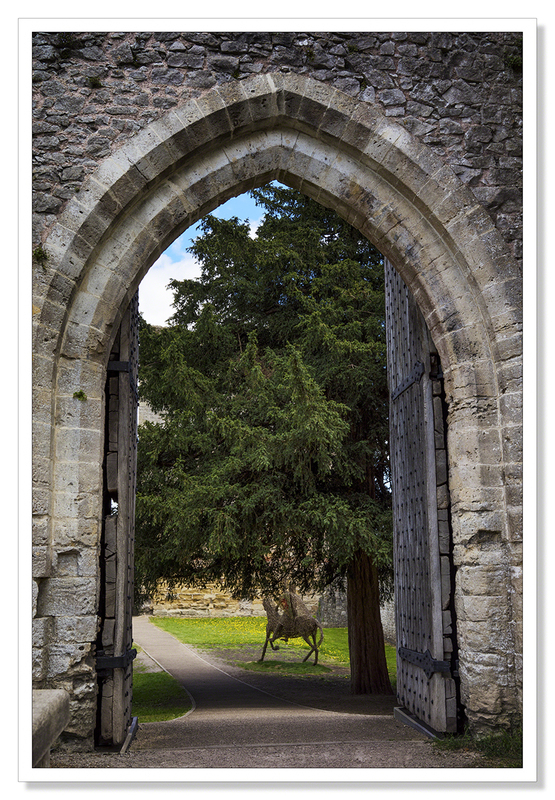 Lovely shots Adrian……I’ve not been to Chepstow before, but I might have to try and visit now. Thank you Mark. Chepstow is definitely worth a visit. I enjoyed the castle very much but much more to Chepstow than the castle I think. We didn’t have time to explore the town but wish we had. You do get around quite a bit don’t you, Adrian. What a gorgeous castle! The location of Chepstow Castle seems quite stunning. 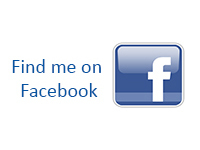 As are your photos. All in all a lovely photo essay about the castle. Have a great trip back to Iceland. I bet we’ll soon see some of the images you’ll capture . Great series Adrian, an impressive location. The views across the river are very striking – will add this to my list of places to visit! Great photo essay, Adrian, and glad the Sony is working for you! Your photos just get better as I scroll down my timeline!